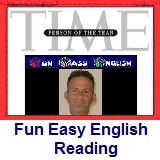 ﻿ Fun Easy English - reading practice and learning about the holiday Yom HaShoah. Yom HaZikaron laShoah ve-laG'vurah (יום הזיכרון לשואה ולגבורה; "Holocaust and Heroism Remembrance Day"), known colloquially in Israel and abroad as Yom HaShoah (יום השואה) and in English as Holocaust Remembrance Day, or Holocaust Day, is observed as Israel's day of commemoration for the approximately six million Jews who perished in the Holocaust as a result of the actions carried out by Nazi Germany and its accessories, and for the Jewish resistance in that period. In Israel, it is a national memorial day. It was inaugurated in 1953, anchored by a law signed by the Prime Minister of Israel David Ben-Gurion and the President of Israel Yitzhak Ben-Zvi. It is held on the 27th of Nisan (April/May), unless the 27th would be adjacent to Shabbat, in which case the date is shifted by a day. In other countries there are different commemorative days—see Holocaust Memorial Day. Yom HaShoah was inaugurated in 1953, anchored in a law signed by the Prime Minister of Israel, David Ben-Gurion, and the President of Israel, Yitzhak Ben-Zvi. The original proposal was to hold Yom HaShoah on the 14th of Nisan, the anniversary of the Warsaw ghetto uprising (April 19, 1943), but this was problematic because the 14th of Nisan is the day immediately before Pesach (Passover). The date was moved to the 27th of Nisan, which is eight days before Yom Ha'atzma'ut, or Israeli Independence Day. While there are Orthodox Jews who commemorate the Holocaust on Yom HaShoah, others in the Orthodox community—especially Haredim, including Hasidim—remember the victims of the Holocaust on days of mourning declared by the rabbis before the Holocaust, such as Tisha b'Av in the summer, and the Tenth of Tevet, in the winter, because in the Jewish tradition the month of Nisan is considered a joyous month associated with Passover and messianic redemption. Ismar Schorsch, former Chancellor of Conservative Judaism's Jewish Theological Seminary of America held that Holocaust commemoration should take place on Tisha b'Av. Most Jewish communities hold a solemn ceremony on this day, but there is no institutionalized ritual accepted by all Jews. Lighting memorial candles and reciting the Kaddish—the prayer for the departed—are common. The Masorti (Conservative Judaism) movement in Israel has created Megillat HaShoah, a scroll and liturgical reading for Yom HaShoah, a joint project of Jewish leaders in Israel, the United States and Canada. The booklet was subsequently converted into a kosher scroll by sofer Marc Michaels for reading in the community and then into a tikkun—copyist guide for scribes—'Tikkun megillat hashoah'. In 1984, Conservative Rabbi David Golinkin wrote an article in the journal Conservative Judaism suggesting a program of observance for the holiday, including fasting. This is a really important Jewish holiday. Hopefully some of the awful things done to the Jews over the years will never happen again. 1. Yom HaShoah is known as which of the following in English? 2. Yom HaShoah is which of the following in Israel? 3. Yom HaShoah was inaugurated in which year? 4. Yom HaShoah was inaugurated in 1953 anchored in a law signed by which Prime Minister of Israel? 5. Most Jewish communities do which of the following on this day?